Large buffet unit / sideboard in a dark grey painted finish with hints of a slate blue. Fully assembled furniture for the living room, hallway or dining room in a charming farmhouse look. The Grayson Range adds a unique and stylish look with this sideboard offering ample storage with 2 large cupboards and 6 drawer storage. 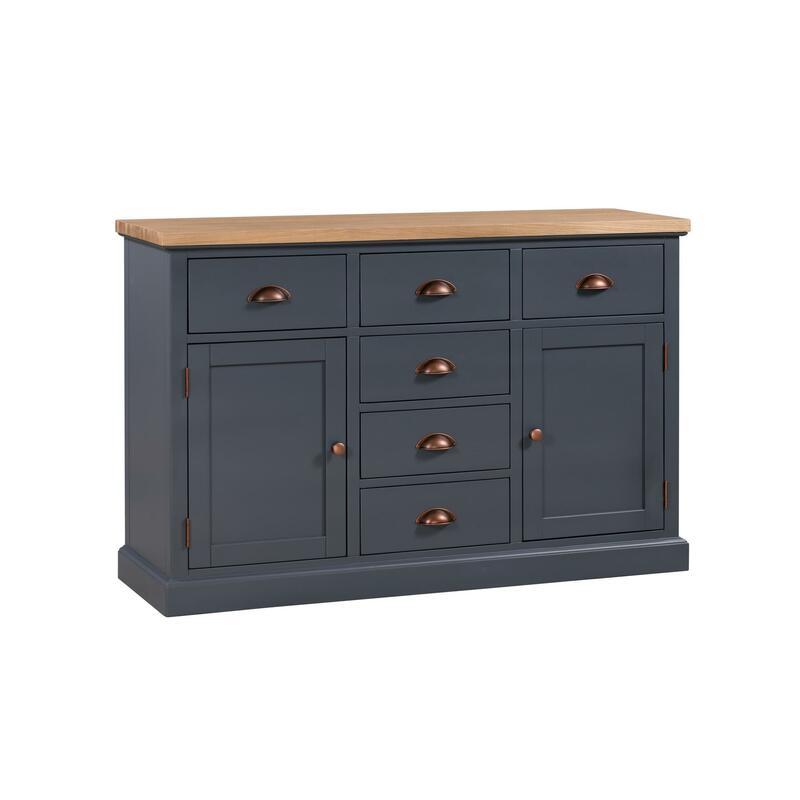 Made from wood and painted in a dark grey with slate blue tones, beautifully contrasted with the copper handles and light oak wood top. The unit comes fully assembled and ready to use. We have a great choice of furniture in the Grayson Range that will help you to create a great look in your home.